Simplicity, minimalistic yet functional. Doesn’t that sound appealing? 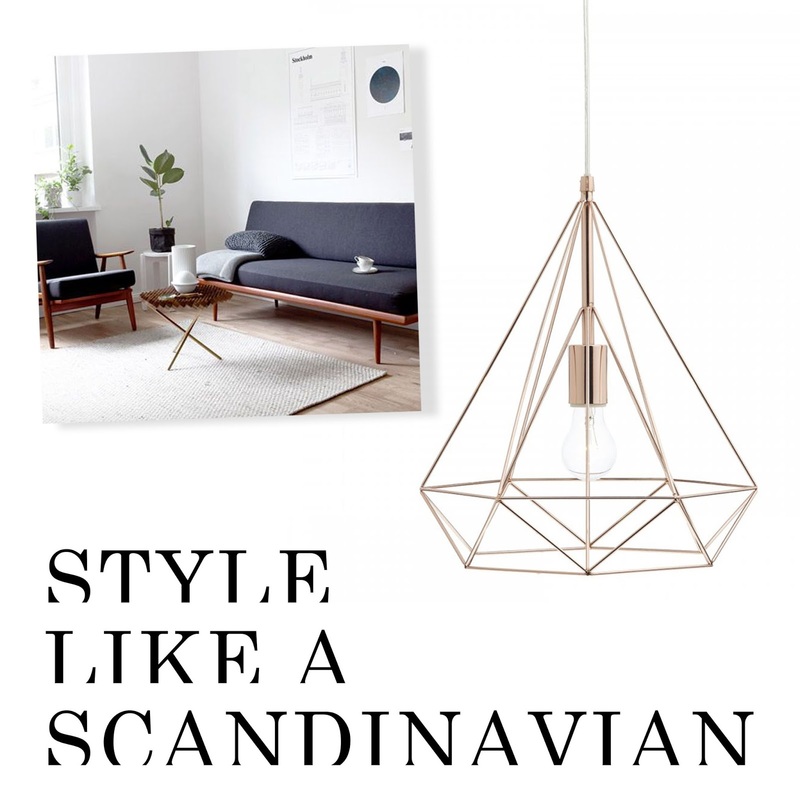 Well the Scandinavian home culture is all about this, and I love their style and aesthetic. When you look at your typical Scandinavian home, walls are cotton white. White allows you to throw in colour, textures, patterns and a range of different colour pallets depending on your style and preference. White also allows you to continuously innovate you’re interior, with no restrictions to design and accessorising. Although it may be slightly more of a pain to maintain (as white can get dirty at times), it’s also easy to refine, with a touch up of paint. Starting your decor with a blank canvas is the perfect way to unleash your creativity, with no colour restrictions or themes. Get rid of what you don’t need. Simplistic and minimalism is what Scandinavian decor is all about, so throw away/sell/donate your unnecessary homeware baggage. This makes your interior look clean and fresh. Tidy Home, Tidy Mind… thats what I always say! If you have stuff you don’t want to get rid of, buy some effective storage such as a sideboard unit that can hide away things such as books, DVD’s and all of them ‘ugly’ things you don’t want lying around! IKEA is also the perfect starting point, for simplistic affordable furniture. When designing your home, rushing into purchasing decisions isn’t the right way around things. Invest in furniture, lighting, decor etc. Buy statement pieces that can last a lifetime. Throw in textures and patterns, but keep it concise. Introduce geometric sculpture, metals and artwork. Mothernature will be your best friend. Greenery will stand bold and bring life into your home. I love places like Anthropologie, Made and MadeInDesign for my decor. Scandinavian homes are full of light. Don’t hide your windows with chunky curtains and drapes. Use blinds that can be opened fully so light can surround your room, brightening and making your space look surprisingly bigger. Light is huge, so make a point of it. Buy creatively designed fixtures, such as geometric shades and vintage bulb fittings, like these here. Simple, yet complex. This design style may not appeal to you, but if you like it I hope this little, short guide helps you kick start your creativity. For more inspiration, head over to Pinterest. Pinterest is life. Pinterest is BAE. Previous Post Bath Time Essentials.